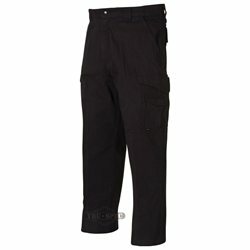 These lightweight tactical pants are manufactured from cool, 6.5 oz. 65/35 polyester cotton rip-stop and are ideal for someone who lives or works in a warm climate or someplace where the summer months can present a serious uniform challenge. Just like Tru-Spec s original 24-7 cotton pants, these lighter weight rip-stop pants are built for unequalled comfort, exceptional fit and amazing versatility. And they re styled with crisp, contemporary good looks.